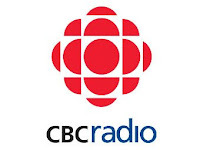 CBC Radio Noon tomorrow Thursday July 29 will feature a 1-hour call-in Crosstalk session on cycling ... can cyclists and motorists get along? This is a timely topic given that the City of St.John's has just approved their Cycling Plan. And the huge growth in cycling and triathlon has many more bikes on the road these days. Call 722-7111 or 1-800-563-8255 from 12:30-1:30pm tomorrow to voice your opinion.